While web analytics tools like as Google Analytics can provide intelligence into your own digital marketing and website performance, there is often a need to also understand a competitor’s digital marketing presence. Understanding competitor web traffic can give you ideas for your own digital marketing campaigns, allow you to see opportunities to attract new visitors, or even show you what channels you may or may not be using effectively. Even if you’re at the top of your industry, staying there can be a challenge, so keeping a tab on competitive efforts can help you stay ahead of the curve. 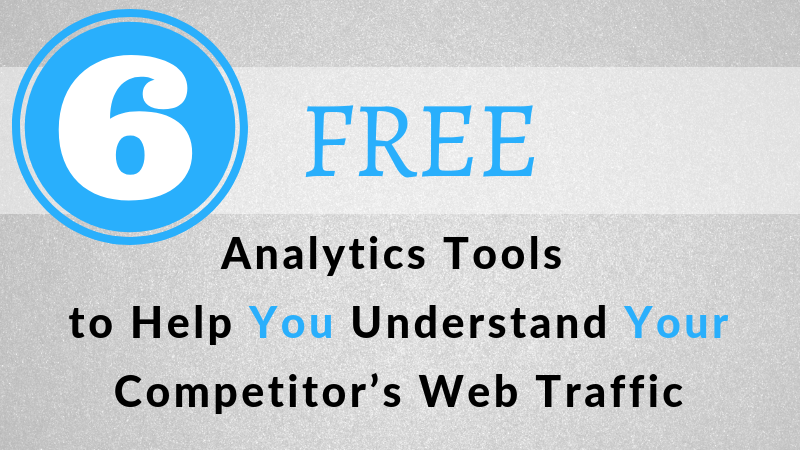 There are many tools that help provide insight into a competitor’s online marketing. Below are just a few free tools that you can begin using immediately. For those that don’t know, Tag Explorer is a free tool used to see what tags are running on the web page you are currently visiting. 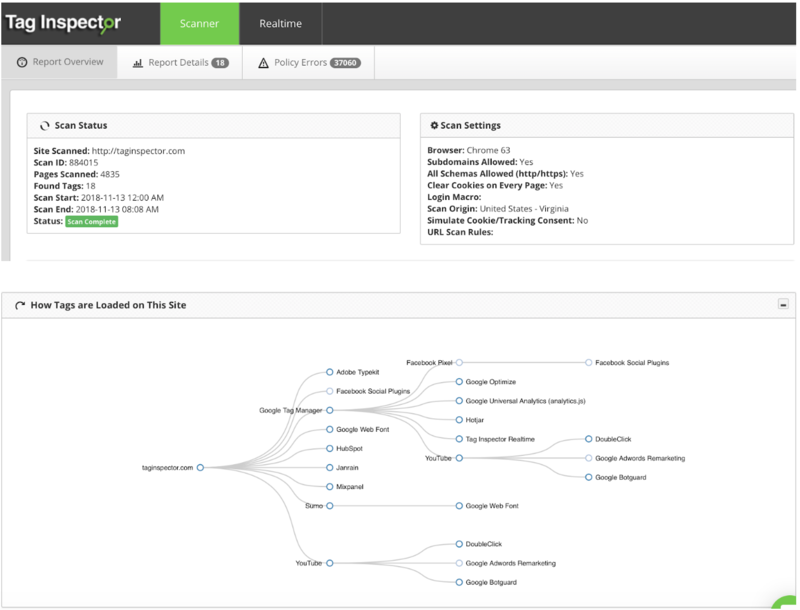 TagInspector is also a free tool, which was developed by InfoTrust to audit and display tags firing across an entire website. Now, you might be wondering how these fit into competitive intelligence. Understanding what tags and dynamic marketing elements competitor’s have on their websites can give in-depth insight into their marketing goals and campaign initiatives. For example, if you search your competitor's site and see that AdWords or Doubleclick tags are firing, this gives you a solid indication they are running PPC campaigns and perhaps display or otherwise sophisticated campaigns (since Doubleclick requires certain level of spend). Or, if you see they have multiple analytics tools running (such as Web Trends, Omniture, and Google Analytics), this could indicate they are trying to gather as accurate analytics data as possible (and could alter how much you care about your analytics). 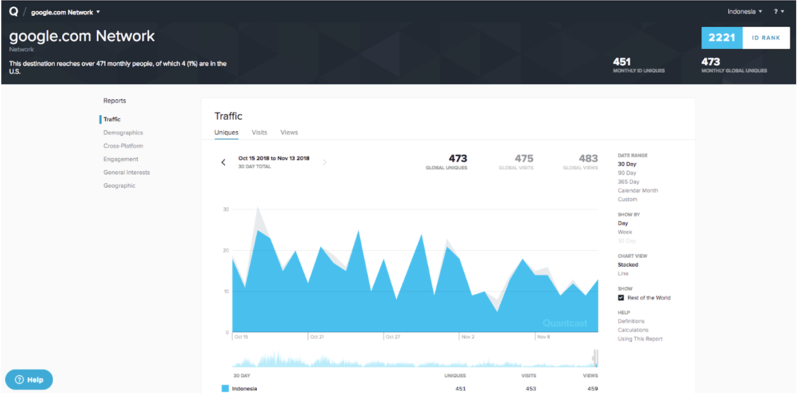 This tool provides free, direct audience measurement for all website owners including traffic, demographics, business, lifestyle, interests and more. What I love most about this free tool is the amount of data it shows, in graphical form. See the screenshot example below for google.com. 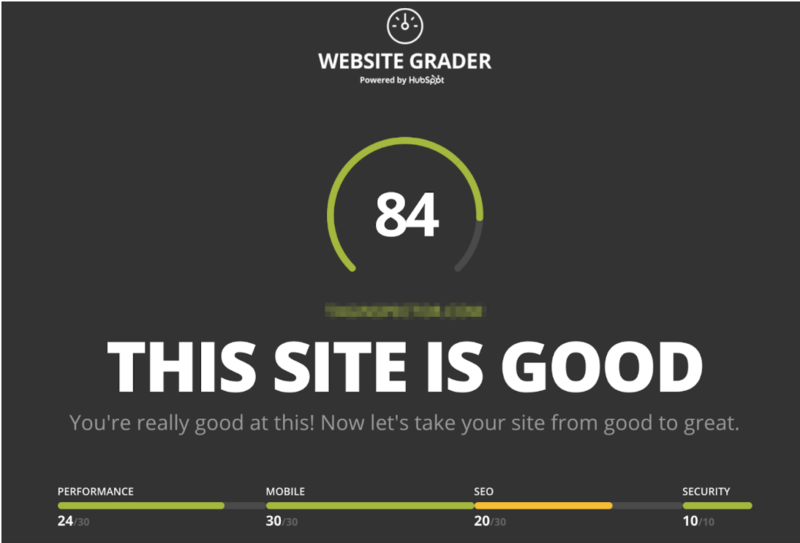 This free tool allows you to quickly measure the effectiveness of a website. Performance: Hubspot’s Website Grader checks for several indicators that your site is performing at its best. It checks to make sure that your page size and page speed are within acceptable ranges (under 3MB and 3 seconds, respectively). The number of HTTP requests your webpage requires affects page load time, which ultimately influences user experience, bounce rate, and other key metrics. Website Grader also checks for opportunities to minimize the number of HTTP requests. Mobile: This tool ensures that your site uses responsive design that adapts to all screen sizes, no matter what device it’s being displayed on. It also checks to ensure your website’s viewport is properly configured for mobile users. SEO: To ensure your website is easily discovered by search engines, Website Grader checks for proper page titles, meta descriptions, H1 tags and XML sitemaps. Security: To check that your site is safe and secure, Hubspot’s Website Grader looks for an SSL certificate. SSL protects websites from attacks, as well as give your visitors confidence that your site is authentic and trustworthy. What I love about Hubspot's Website Grader is how simply they present the data, along with supplementary educational content and clear next steps you can take to improve your site’s performance. Ahrefs’ Backlink Checker shows the top 100 backlinks to any website or web page. It also tells you the estimated monthly organic search traffic to each linking page. This can be useful for understanding your competitors' best sources of referring traffic. You may even want to try to get featured on those pages yourself. 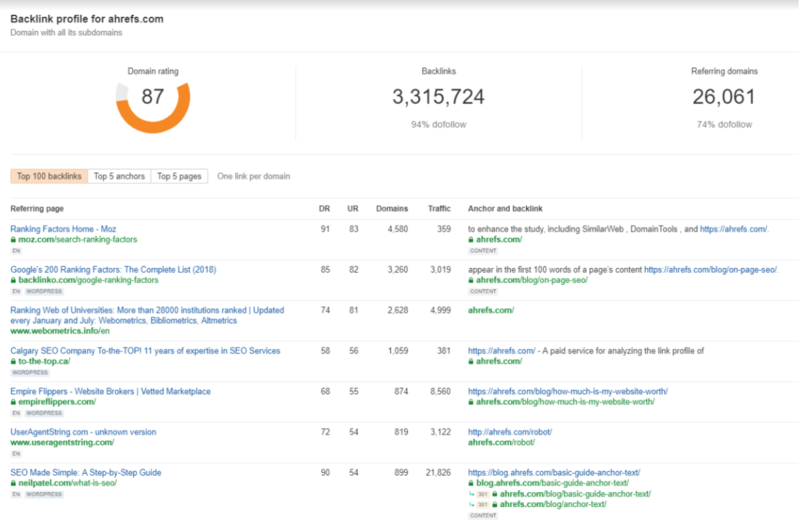 This free tool runs off Ahrefs’ huge database of 16.6 trillion backlinks. 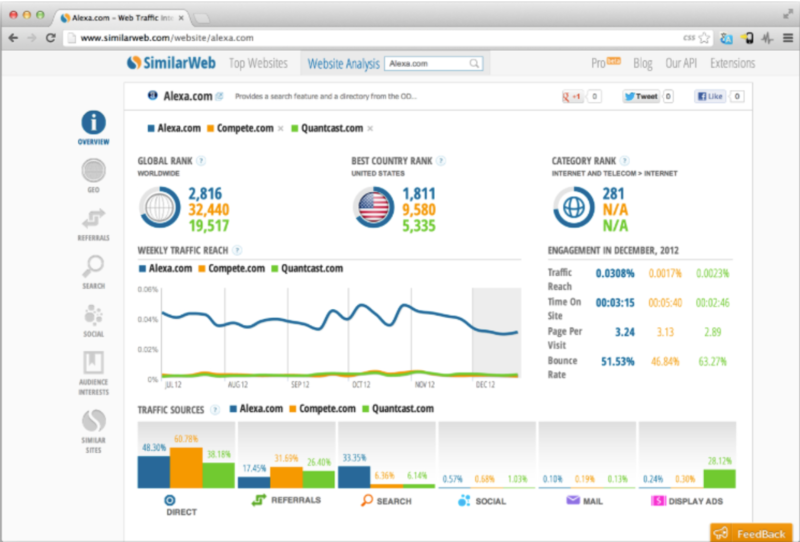 SimilarWeb is a new player on the market (as far as I know) and is really great for providing competitive insights about websites and overall digital presence of companies. As a bonus, it does so in a beautiful way. Not only does it look great on a desktop with easy navigation, it was wonderful on my iPad! Discover the most important traffic activity and ranking insights for any website. Find the biggest websites in your industry and region with their Top 100 ranking of websites by category and country. Send your users reliable insights to discover, categorize, tag and rank the websites that matter to them through their API. There is a paid version with more features coming soon, as well as a Chrome plugin for fast insights as your browse around the internet. Definitely worth checking out! To wrap up this not-so-short post, knowing what type of marketing activities competitors are actively pursuing can prove very beneficial as you build your marketing campaigns. With the explosion of new online media and tools available for marketers to take advantage of, you definitely do not want to fall behind the curve. For more information or any questions/comments, feel free to reach out to us!